What’s not in question are the advancements made during the so-called AMC years. 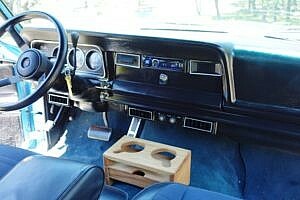 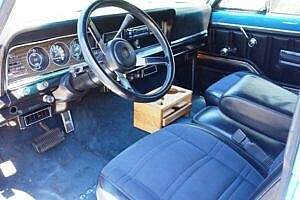 In 1973, AMC introduces “Quadra-Trac’, a full-time four-wheel drive system that allowed you to switch between 2WD and 4WD in the cabin as opposed to manually turning the front hubs. 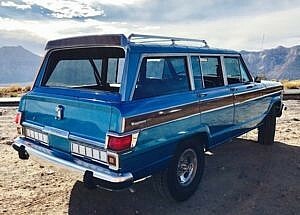 It was advanced beyond many years at the time, so much so that it is the foundation of most 4WD systems on today’s vehicles. 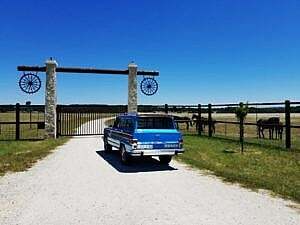 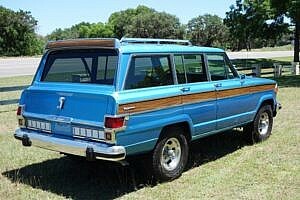 AMC stayed true to their promise and eventually would lay all the ground work to turn the Wagoneer into the luxury Hamptons cruiser we know it as today. See our featured story on the Wagoneer for an up close and personal look. 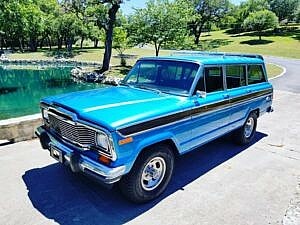 Today we present to you this low mileage 1978 Jeep Wagoneer with a rare factory optioned 3-speed automatic and Quadra-Trac four-wheel drive. 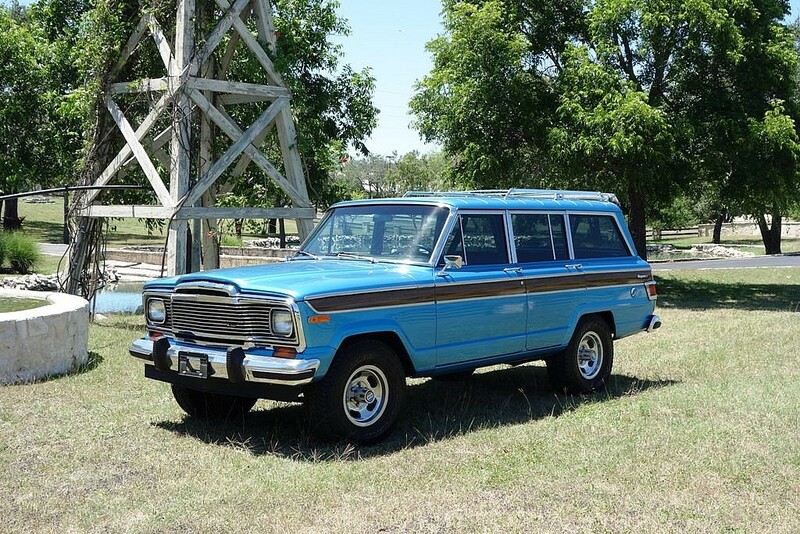 This is being offered for sale by a Wagoneer specialist, with experience in the Jeep business for nearly 30 years. 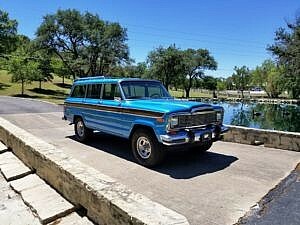 This Wagoneer underwent a complete restoration 3 years ago, receiving new paint, reworked interior, refinished original slot wheels and a rebuilt engine. 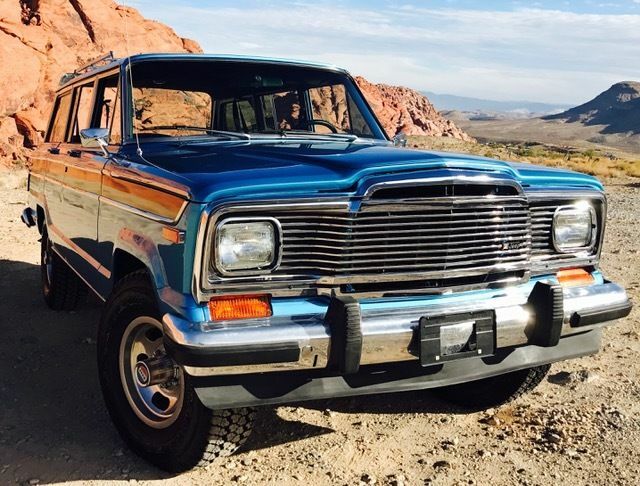 The ’78 grill front was replaced with an updated ’79 version. 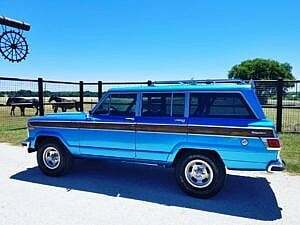 It has remained in storage since the restoration. 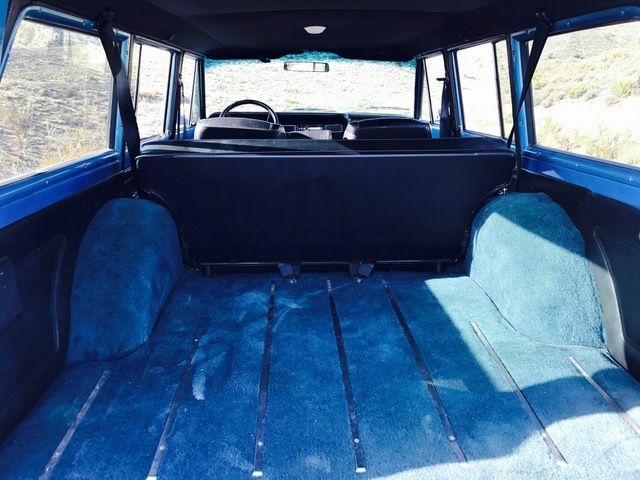 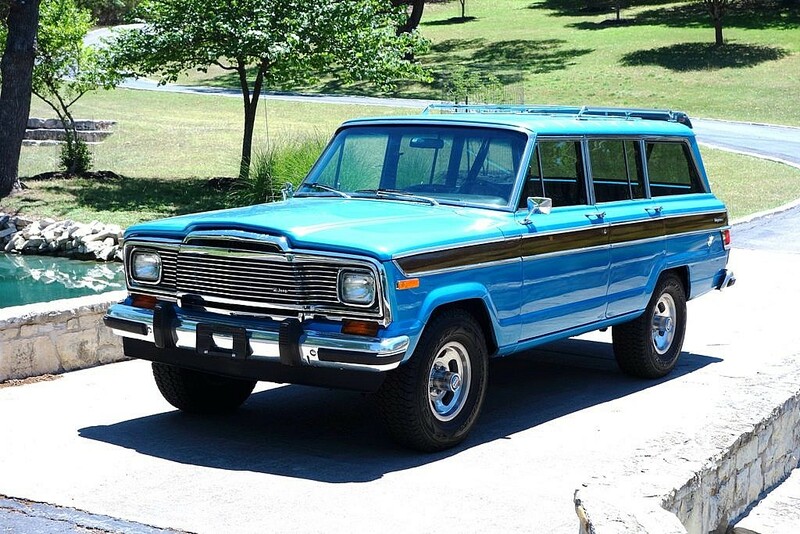 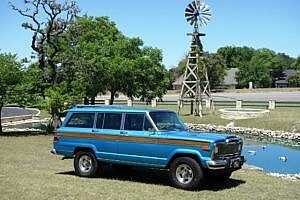 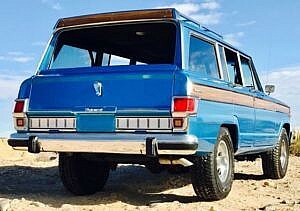 Finished in Captain Blue with the signature wood trim, this Wagoneer presents impeccably as near-new. The chrome shows no fading or cracking all-around, as do the window glass and markers. There are no visible signs of rust or damage nor any reported from the seller. 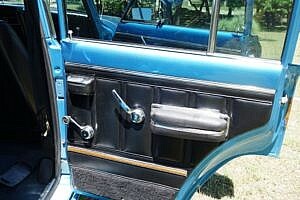 The panel gaps appear as per factory specs further corroborating that. 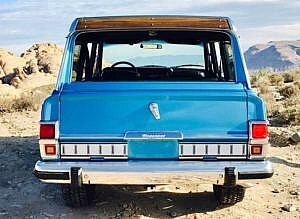 The original fitted roof-rack is still intact. 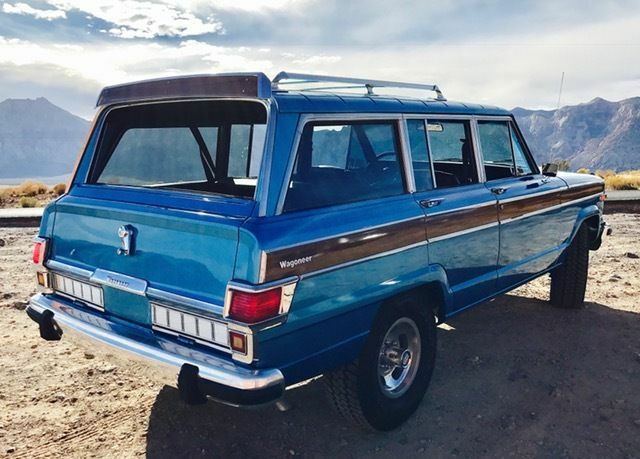 The 401 V8 was the top of the line option, pushing out 215hp. 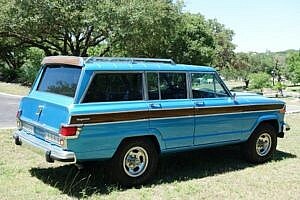 A very robust engine, the 401 was available in several other car lines and in Jeeps from 1971 through 1974. Emission controls, gas prices, and insurace rates reduced the availability of the 401, restricting it to full-size Jeeps, the AMC Matador, and police cars. Jeep buyers could order the 401 up until 1979. 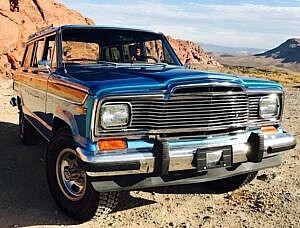 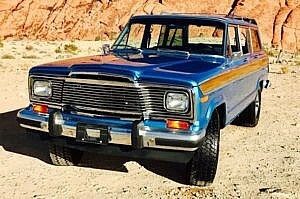 It was also supplied to International Harvester for use as an optional engine in light pickup trucks and Travelalls from 1973 through 1974. 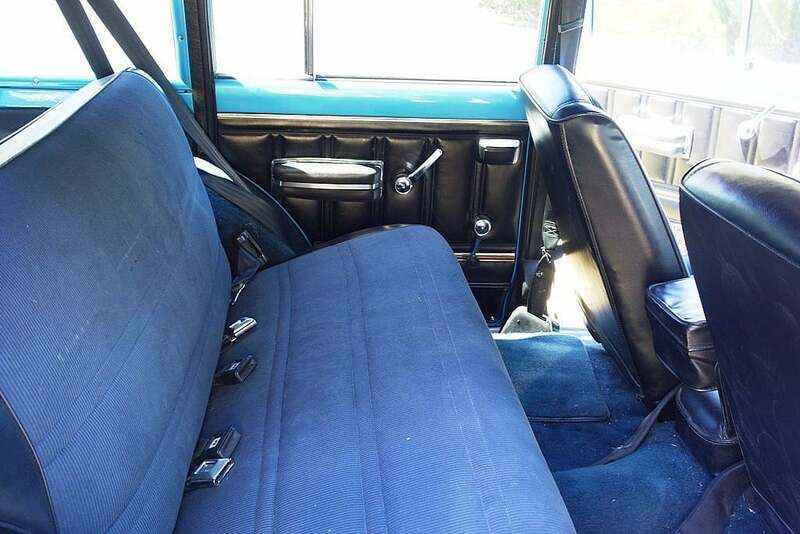 This one has been serviced and documents can be provided. 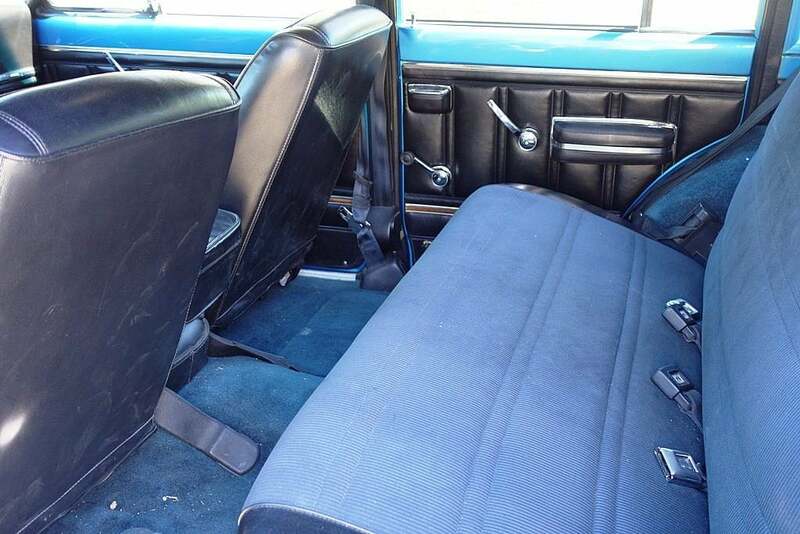 Inside, the fabric and vinyl upholstery looks very good overall, commensurate with what you might expect in a low-mileage 40-year old SUV that was most likely used to take the family to the ranch on the weekends. There are signs of minimal wear on the driver side carpeted mats. 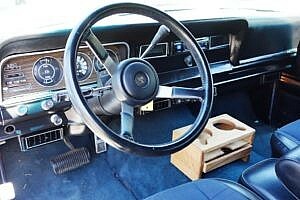 The 3-spoke steering wheel shows no excessive wear, the dash shows no visible cracks or fading. All of the knobs and trim appear to be present inside. 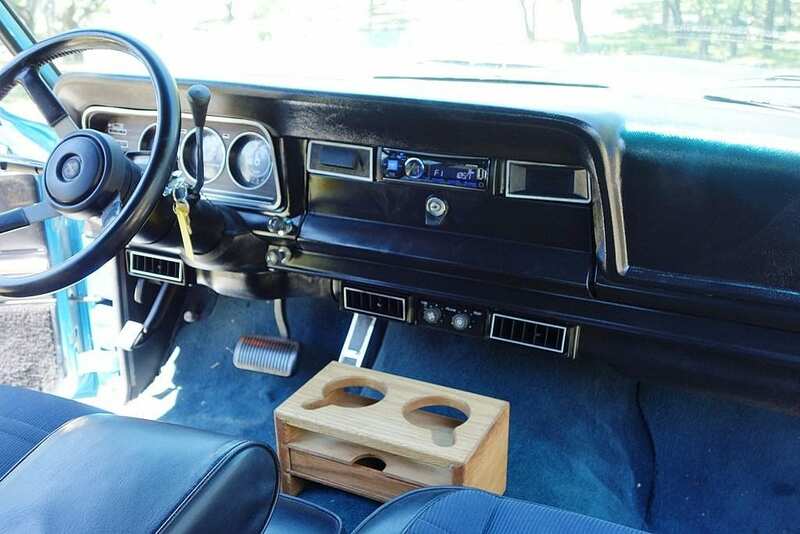 The original radio has been replaced with an aftermarket Alpine. 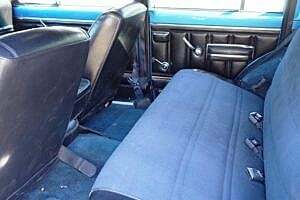 The carpet and vinyl door cards show very well. 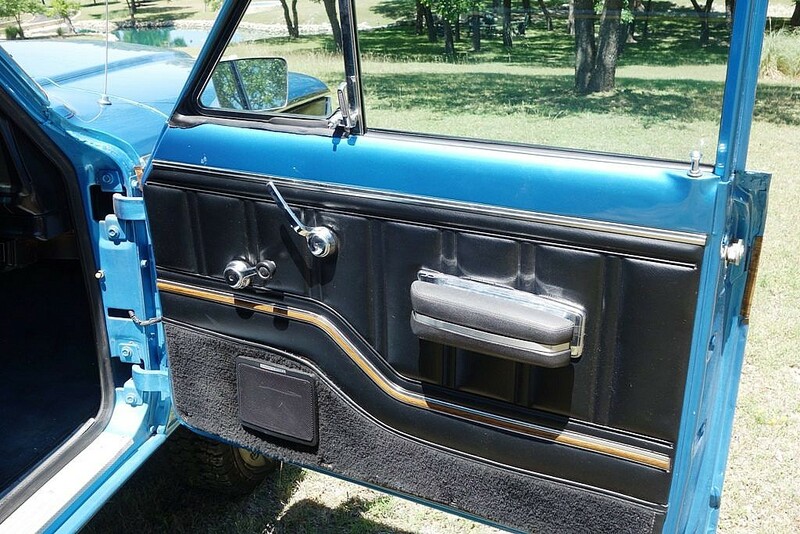 A few light scuff marks show on the speaker covers, and a small blemish on the front passenger door metal can be seen in the pictures. This Wagoneer is equipped with a fully working air conditioner. 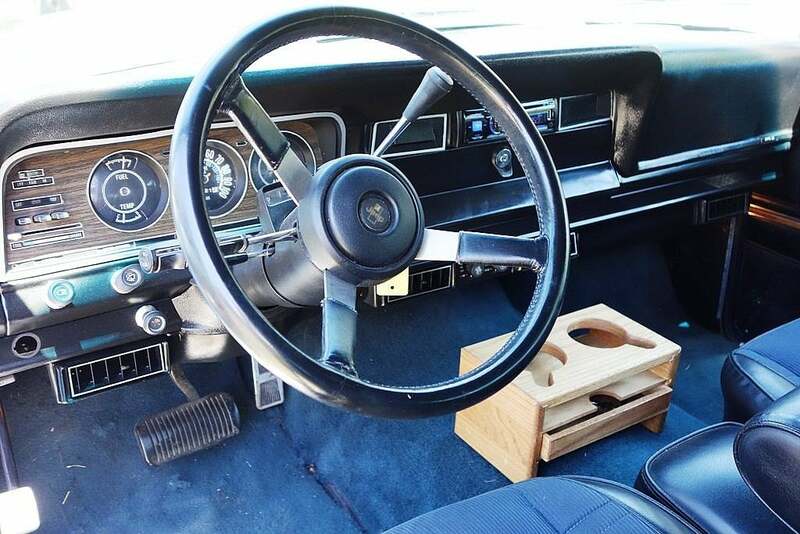 As with many of the cars we feature, proper valuing is difficult given the rarity of examples going to market, compounded by the wide-range of examples and conditions you may find. 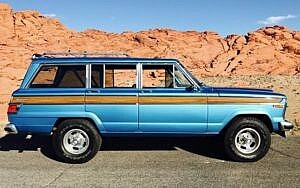 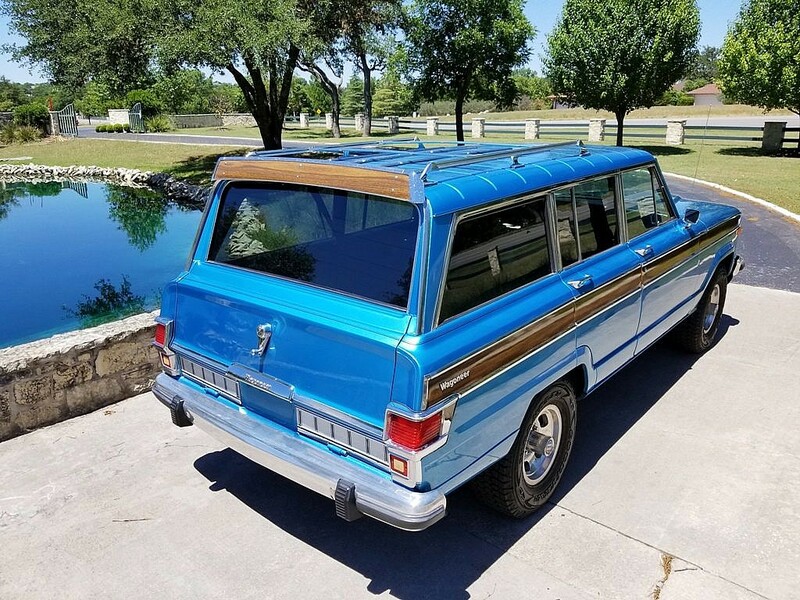 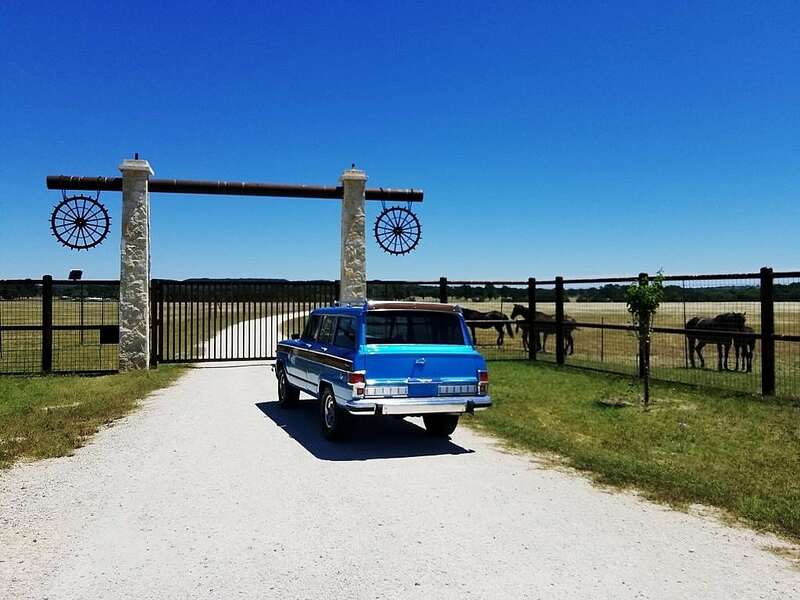 This ’78 Wagoneer presents with very low mileage given what these vehicles were originally used for…road trips and daily commutes. 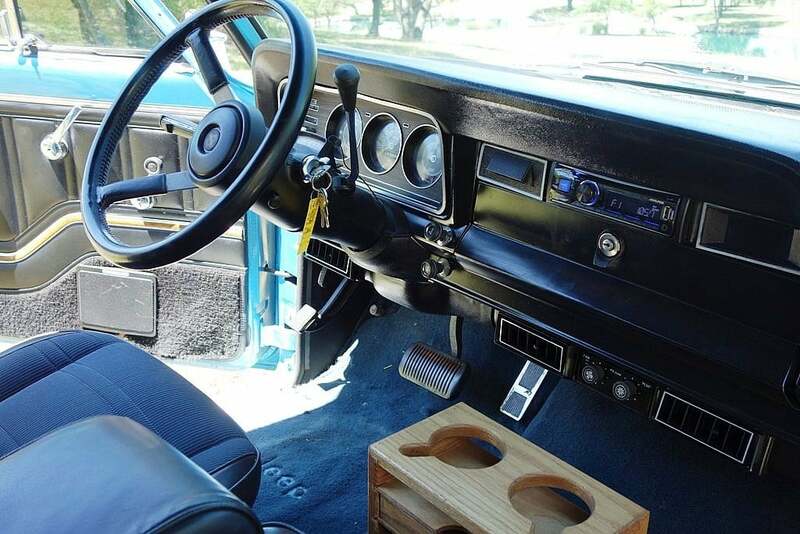 It also has a rare powertrain option with the 401 V8 mated to an automatic. 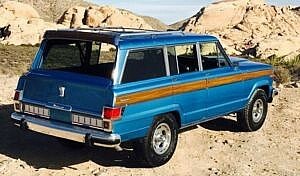 Finding these in original or original restored condition with this mileage is very hard to do, and thus comparisons are not always proper. We do have one comparable, sold by the same seller just recently…a 1,150 mile example of a 1979 Wagoneer that sold for $80,000. 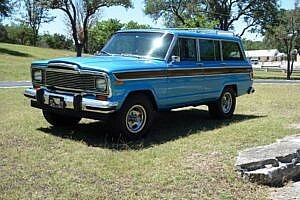 We have seen others go through auction for well over $50,000. 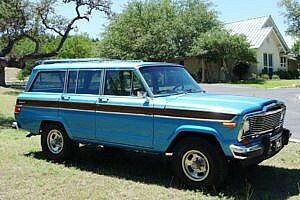 We are offering this one here at a low reserve compared to that. 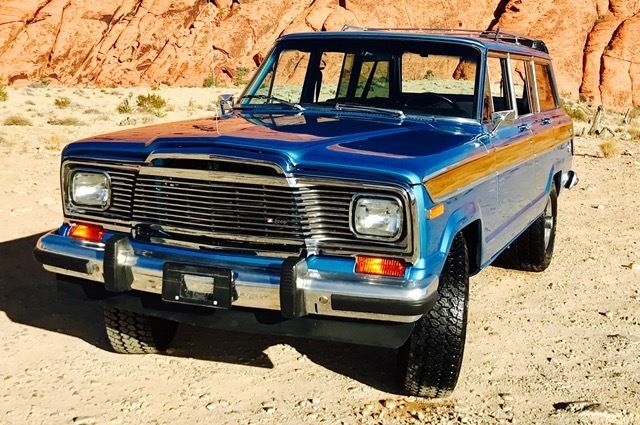 As these vintage SUVs grow in popularity, Hagerty is tracking values and a surge started a few years ago and the values continue to climb. 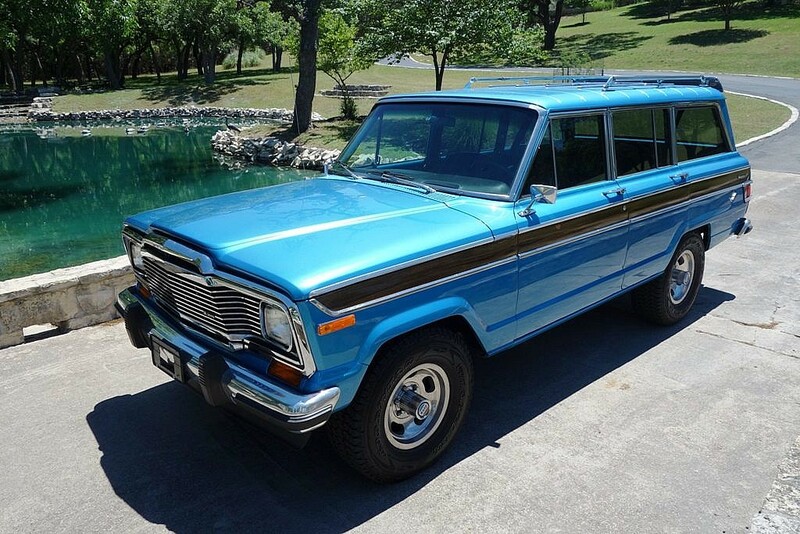 The days of finding these listed in your local Craigslist ad for $10,000 are long gone. 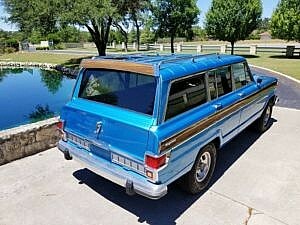 The best part of this is the backing you get from the seller. The lucky buyer here will be supported with recommendations, referrals, and hard-to-access parts if ever needed. They are a well established company, and stand behind their work.  Their promise is, if you find anything you think they have missed or has an issue, let them know. 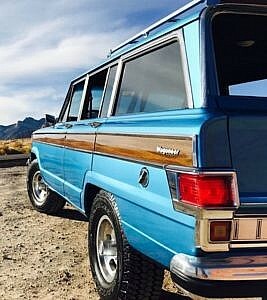 They will recommend you take it to your local Jeep or classic vehicle shop (recommendations available), have the issue corrected, and they will pay for it, no questions asked. The vehicle posting references Hagertys valuations escalating. Current Hagerty’s valuation for this vehicle and this configuration in Concours condition (best in the world) is $29.5K.